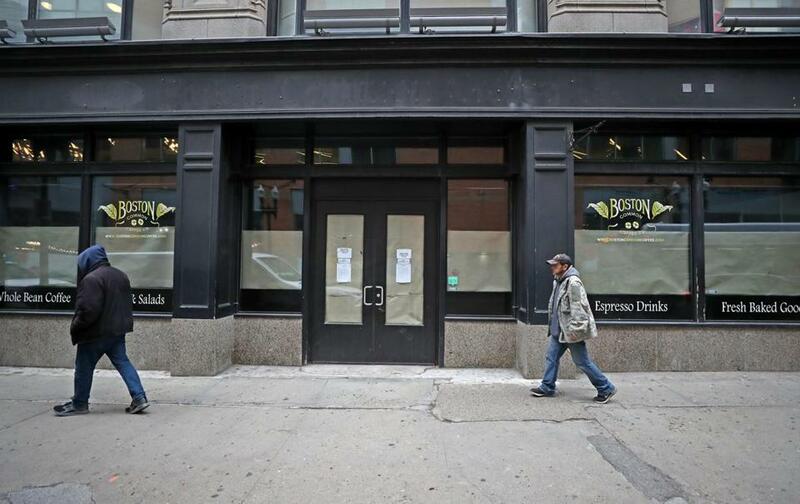 An empty storefront near 560 Washington St.
One of the biggest retail spaces in Downtown Crossing may soon become home to offices. 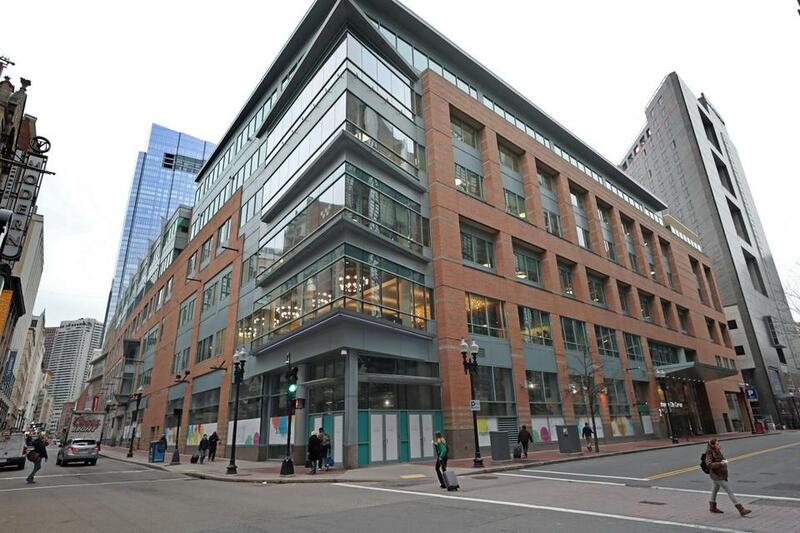 The Boston Planning & Development Agency on Thursday approved plans by the owner of Lafayette City Center to convert much of its long-empty ground floor into office space, perhaps to house the state agency that handles workers’ compensation claims. The move by veteran Boston developers The Abbey Group highlights the soft market for large-format retailers as they face mounting online competition. The change also has something to do with the particular quirks of the building, which was built in the 1980s as the inward-facing Lafayette Place Mall before being repositioned as storefronts with office space above. The proposed change also is raising concerns in some quarters about a block and a half of Washington Street in the busy shopping district being converted to office space. Much of the building’s ground floor — about 75,000 square feet — has been empty for at least 15 years. The last sizable tenant, an Eddie Bauer outlet store, closed in early 2016. Abbey and its brokers have struggled to fill the space. Among other challenges, the first floor is as much as 7 feet higher than street level in places — a design quirk of the old indoor mall and its underground garage. “We think of ourselves as creative developers who apply innovative thinking to problems like this,” Abbey chief operating officer David Epstein said. “It simply isn’t feasible” to use the space for retail, he said. An empty storefront at 560 Washington St. But Abbey has leased more than 500,000 square feet of office space on the floors above street level, mostly to tech companies. When the state began looking for 33,700 square feet to house its Division of Industrial Accidents — which needs to move out of the Government Center Garage ahead of a redevelopment there — Abbey offered up the ground floor. A spokesman for the state’s real estate agency said it received five proposals for the office, including Lafayette Center. A final decision has not been made, he said. Workers’ compensation courtrooms may not be the sort of retail and restaurant Downtown Crossing is known for, but it fits with other legal offices around the neighborhood, said Rosemarie Sansone, president of the Downtown Boston Business Improvement District. Still, the shift comes as several key locations sit empty along Washington Street, from Lafayette Center to the long-shuttered Barnes & Noble (which is now being renovated by a new owner) to a cluster of empty storefronts at Washington and Bromfield streets that have been largely dark since plans to build a skyscraper there stalled in 2016. Sansone acknowledged the empty buildings but also noted that several restaurants and stores have opened in and around Downtown Crossing in recent years. Building owners and the BID, she said, are aiming to bring in more retailers to cater to residents and workers who fill nearby office towers, including a day care center, pet stores, and more home goods stores. She also said Trader Joe’s is considering opening a grocery store in the neighborhood, though a Trader Joe’s spokeswoman would not confirm that. Some landlords on Washington Street, Sansone said, are being patient, waiting for the right tenant. “There have been some deliberate attempts to make sure that whatever comes is going to be successful, that it’s what people want,” she said. One BPDA board member Thursday asked Epstein about the wisdom of leaving retail space like Lafayette Center vacant for years, especially given the effect on foot traffic for neighboring businesses. Epstein said the market has shifted away from the larger-format retailers it originally envisioned would lease at Lafayette City Center, and the technical challenges of opening in the building were too great for smaller stores. Filling two-thirds of the long empty storefront with office workers will bring foot traffic and, he hopes, will make it easier to rent the rest of the vacant space. “We’re excited about the prospect,” Epstein said.